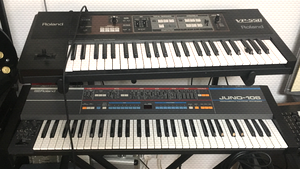 KitMonsters – Roland Juno-106. The music makers’ guide to making music. 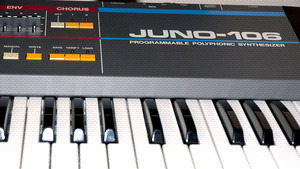 The Roland Juno-106 is a Hybrid digital-analogue polyphonic synth from 1984. It is still very popular due to its easy-to-use controls that enable you to work quickly to create sounds, and it has very rich bass tones. 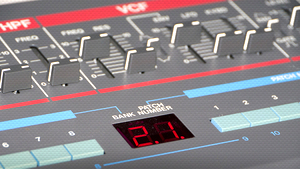 Features include six digitally controlled oscillators, and an analogue lowpass filter with resonance you can adjust, plus a built-in stereo chorus effect. 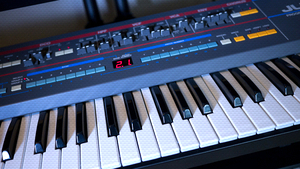 It’s been used by BT, Underworld, Leftfield, Tangerine Dream and Vince Clarke (Erasure).